The carbon fiber lifter is a new tool to aid a conservator when mechanically lifting covering material, pastedowns and general delaminating. Lifting knives, teflon tools, micro spatulas, teflon coated tools, and bamboo hera all have their place in a conservator’s arsenal. 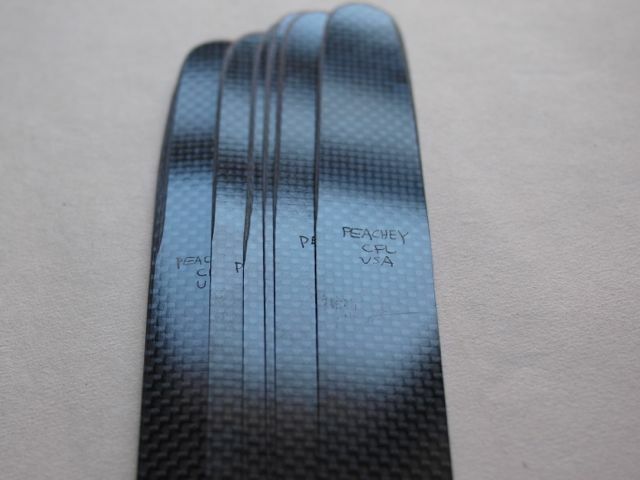 The carbon fiber lifter is between a teflon folder and bamboo in feel: much thinner and more rigid than teflon, stronger than bamboo and it slides easier. Very strong and flexible, though not indestructable. Great for paper, weak cloth, heavily embossed cloth, and lumpy, uneven boards. It is flexible, yet provides unparalleled control even when it is in deep. It is designed to slide between and separate adhered materials, but the blade is not really strong enough to split a board, like a knife can do. The carbon fiber lifter is designed for sliding and prying lifting techniques. 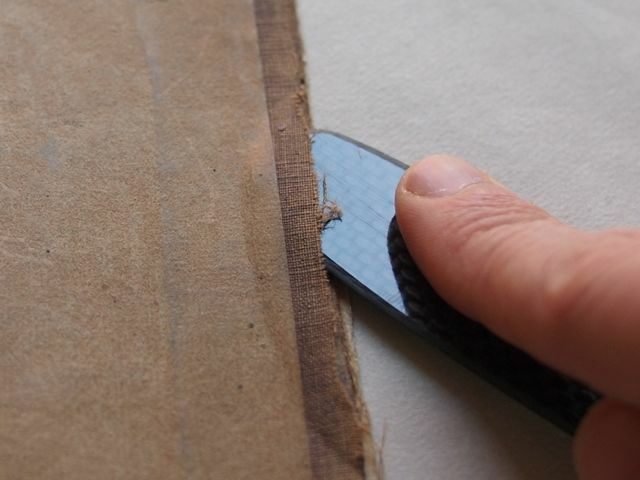 I’ve also found it useful for reversing previous “repairs” like gluing a cloth case spine to the text block, given its thinness and long length. The cutting edge is rounded and extends about 2.5 inches (63 mm.) The edge can be easily sanded to alter or repair the bevel, but I strongly recommend respiratory protection and gloves. Here is the Material Safety Data Sheet MSDS. Additionally, the carbon fiber looks very cool. 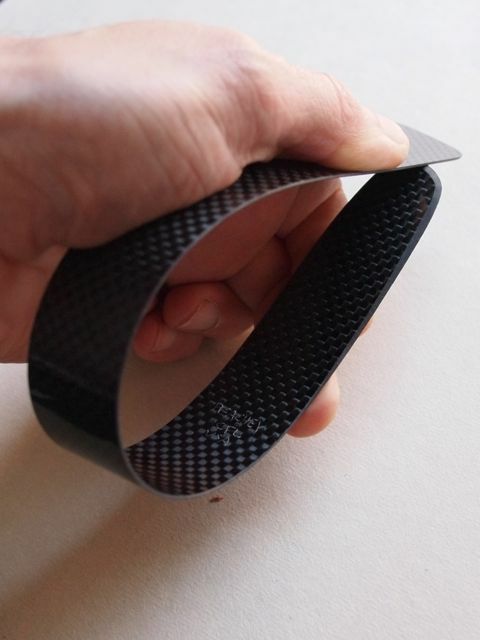 Materials: Woven carbon fiber embedded in epoxy. Looks very nice, but does it do anything that I knife won;t do? It does, in fact. Its flexibility and low coefficient of friction allow it to follow surfaces, for delaminating, more than a steel knife can. It also has a different springiness, you can press it quite flat a couple of inches in, or use it for prying. It is more like a thin piece of teflon in this regard, but carbon fiber is much harder so the cutting edge deform so easily. It is like bamboo on steroids, maybe. One size only? Bevel(s)? Custom shapes?